With the purpose to contribute in helping Africans children and adults to see the world with their own eyes, the Foundation Marco Simoncelli gave a high technological and precise electron microscope to Semi di Pace International Onlus that since 2009, has been launching and extending the Light Project in Burundi, Bururi’s hospital and later, in Democratic Republic of Congo and Lumbi’s hospital. The aim of this project is to set up an ophthalmological service which is missing for the most part of these places. The donation of the electron microscope, for a price of Euro 15,000.00 constitutes a useful contribution to allow a high ophthalmological quality service according to the European standard level. 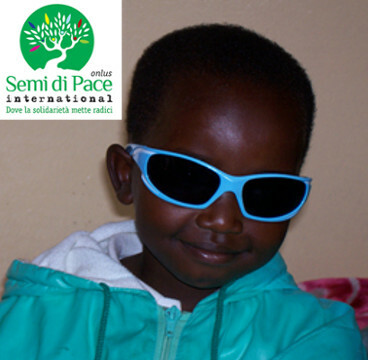 - the monitoring of patients who are afflicted by cataract, trachoma and onchocerciasis. - ophthalmic surgery of specifics pathology (cataract, glaucoma, pterygium). All the Italian medical staff contributes in helping by being volunteer only. Since now, 262 patients included children and adults, have been operated and more than 2.000 persons have been seen by medical staff.